War is hell. Sure games like Call of Duty make it seem exciting, but you’ve never had the fate of an entire galaxy riding on your shoulders. Enter Mass Effect 3, the final installment of the Mass Effect trilogy. The game picks off very shortly after where Mass Effect 2 left off. Once again, you play as Commander Shepard, and the first thing you see are the mysterious Reapers as they land on Earth as part of their full scale war against every civilized organic being in the Milky Way. Once again, you are able to import your character from a previous game, complete with every major decision you have made (not the least of which is the outcome of the suicide mission in Mass Effect 2). For most of the game, your focus is on uniting the galaxy so it can have a more realistic chance at defeating the Reapers. That said, Mass Effect 3 felt a lot more combat focused than its predecessor did. It does make sense since you are now spearheading such a massive conflict while Mass Effect 2 took place in what was peacetime as far as most people were concerned. For that reason, there seemed to be fewer side quests available to do besides fetch quests which simply involve going to a system, scanning the planets there, finding whatever someone wants, and avoiding Reapers in the area. Gone are quests that result in recruiting squad members and gaining their loyalty. Combat has been dramatically improved from Mass Effect 2. Now Shepard has moves like a more powerful melee attack and can maintain a sustained sprint. And he (or she) will need all this maneuverability as battles are far larger than before with enemies filling much larger levels. Admittedly, there still are times I feel like I’m fighting the controls (I absolutely abhor how sprinting and taking cover are mapped to the same button), but overall the combat situations feel more fun than they really ever did in ME2. What has been thankfully removed is mineral gathering. Money is very much the only resource you ever need to worry about in Mass Effect 3, so you don’t need to go around planets scanning and mining minerals for upgrades anymore. Scanning in space is now just used for finding assets in space for the war effort, and the Normandy is now fitted with a special type of scanner that points out of a planet is even worth investigating or not. Of course you shouldn’t get too trigger-happy with that thing as it will cause Reapers to become aware of your presence and will give chase until you leave the area. What makes a return are moral dilemmas. What I liked about them is how there never really seemed to be a “right” answer. A very notable one is having to make a choice between the curing a plague and recruiting scientists and engineers to help build a weapon to destroy the Reapers. The most important decision you’ll have to make, as many of you know, is at the end of the game. And speaking of the ending, based on how people reacted to the game’s original endings, I downloaded the Extended Cut DLC. From what I had, I thought I had achieved a very satisfying conclusion to the Mass Effect saga, so I think the DLC was a worthy (free) installation. The game’s style also matched the substance. 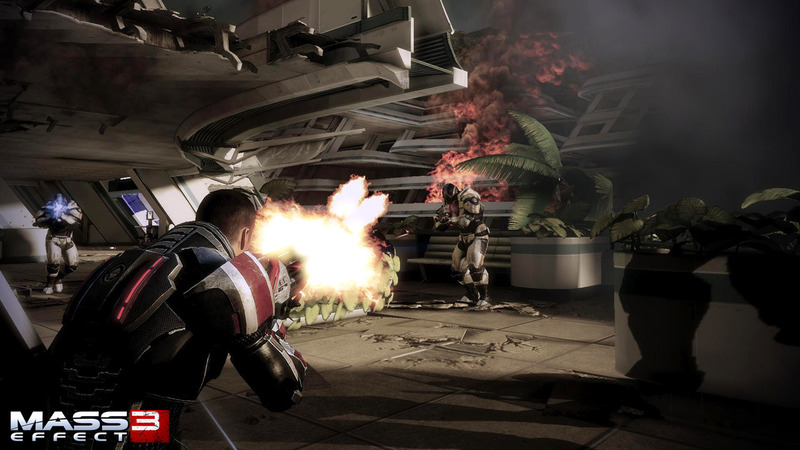 Mass Effect 2 was already one of the better looking PS3 games I have ever played, and Mass Effect 3 looked even better. The textures were far more detailed than they were in ME2 with what were some of the most realistic character models I have seen in a game to date. Yes this screenshot was from the actual game. Yes, this cutscene was running off the game’s engine. Also, for the most part the game’s framerate can keep up. There were times when the game slowed down slightly when there were very large numbers of enemies onscreen, but framerates never lurched to Skyrim’s lousier levels. Also, while not as problematic as it was in Mass Effect 2, I have seen a couple cutscenes where the audio and video were a little out of synch. 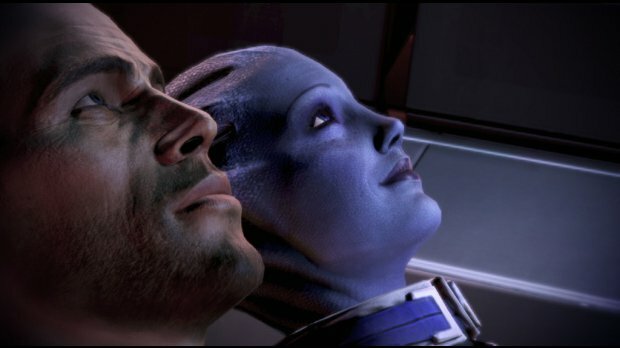 All in all, Mass Effect 3 (with the Extended Cut download) is a worthy finale to the Mass Effect trilogy. It brings back most of what I loved of Mass Effect 2 and also dropped a lot of what I didn’t. I only wish the game was a bit longer, but I would say it was one of the better ones I have played in a while.